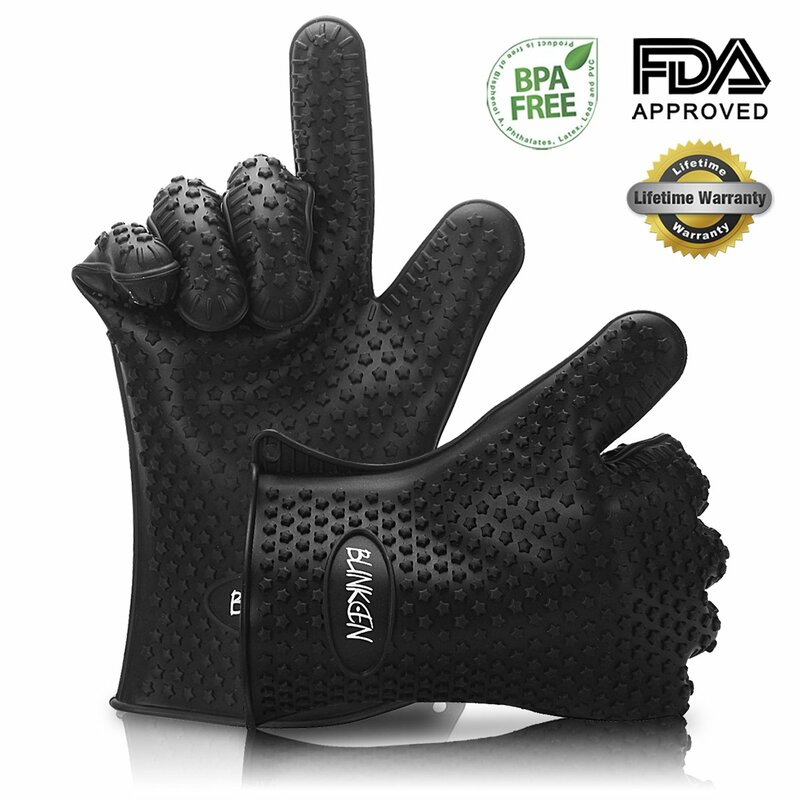 Home › Home and Kitchen › Blinkeen Silicone Heat Resistant Bbq Grill Gloves Great For Barbeque Oven Coo..
100% Pure food-grade silicone:FDA Approved and BPA Free. 13.3 ounces which is thicker and stronger with 100% lifetime guarantee. This silicone gloves are waterproof and dishwasher safe design effortlessly washes grime, grease and oil off. MULTIPLE USE: Use it in BBQ, Oven, Grilling, Outside Camping, Boiling. Perfect kitchen gadget.